Carnegie CDAC-affiliated Staff Scientist Ronald E. Cohen received the International Award of Ferroelectric Materials and Their Applications of 2014 on May 29, 2014 in Kyoto Japan. 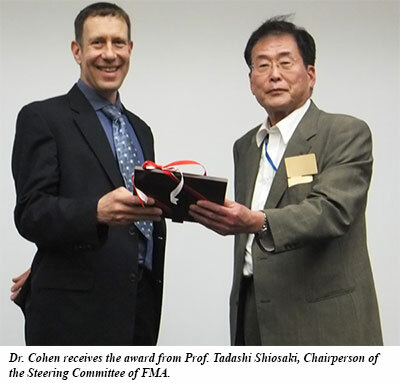 The award was given at the 31st meeting on Ferroelectric Materials and Their Applications (FMA) in recognition of Dr. Cohen's contribution to the progress in knowledge of ferroelectric materials through first principles research. During his trip to Japan, Dr. Cohen presented seminars and spoke with students at the University of Tokyo and at Waseda University, and met with scientists at the University of Kyoto.